Many of us might dread going to the Dentist considering the time involved, just due to fear or even because of the finances involved. But remember- Dentistry is not expensive, negligence is! Here are 9 reasons when you must certainly visit your Dentist. Please make sure you visit the dentist on priority at this stage. It could be minor tooth decay or issue which could go on to become a huge one if not catered to t the right time. 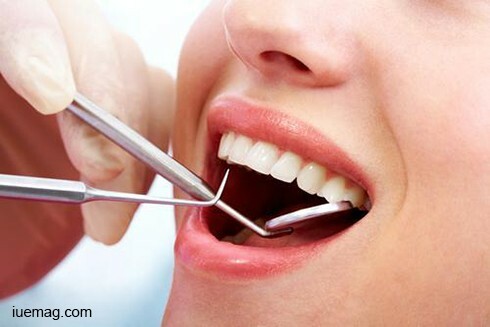 Your Dentist is the best person to decide on what your next step should ideally be. In this case it could be something as simple as a vitamin deficiency or it could be something like an indication to another systemic problem like Diabetes. Either ways it becomes essential to visit the doctor and take an appropriate treatment. 3. You have noticed a white or red patch in your mouth which is growing in size or which is persistent. Now that calls for some attention. You may have to send a sample of it to the pathology to diagnose what it is. It would need removal in some cases. Doesn’t it make definite sense to leave it to your doctor? It sure does! Having a discoloured tooth in your mouth maybe because of a bunch of reasons. First of which is because of a long standing decay. It could also be because of a leaking old filling, an internal resorption . It would be best to get that sorted with your doctor’s help. Ignoring this can cause a non healing wound which can lead to something as nasty as a cancer if not attended to well. This could be because of a TMJ(Tempero mandibular joint) dysfunction. This is the joint that helps your mouth to open and close. Make sure you treat this early and right. 8. You notice an abscess or swelling in your mouth. It needs attention and treatment. No it may not go on its own and it is certainly not the best idea to wait unless your doctor has said so. 9.) When you haven’t visited your Dentist in more than a year. It is a very good thing to do to visit your doctor once a year even if you feel you are doing fine. You never know there might be something brewing in there or there might be something that only your doctor can tell. Most times diseases like Diabetes, Vitamin deficiency etc show signs in the mouth first. Please do visit your Dentist. It’s worth it and your teeth are going to thank you for a very long time! Cheers! Keep Smiling. Any facts, figures or references stated here are made by the author & don't reflect the endorsement of iU at all times unless otherwise drafted by official staff at iU. This article was first published here on 23rd November 2016.